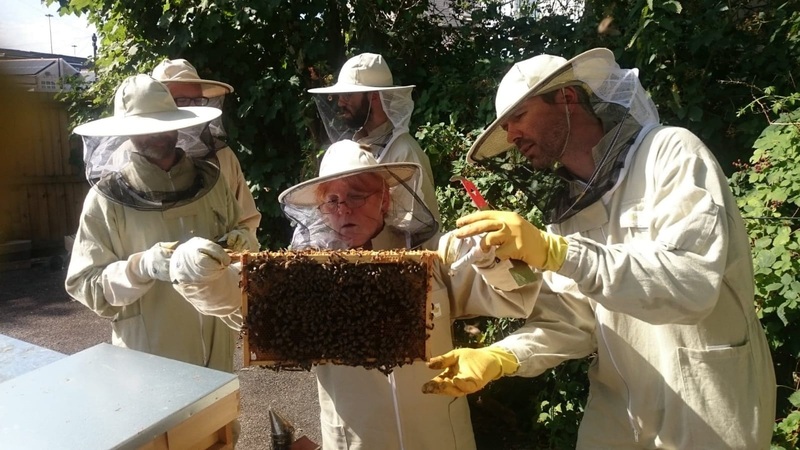 There was a buzz in the air when six members of staff from Cardiff and Vale University Health Board (UHB) recently took part in an Introduction to Beekeeping course. 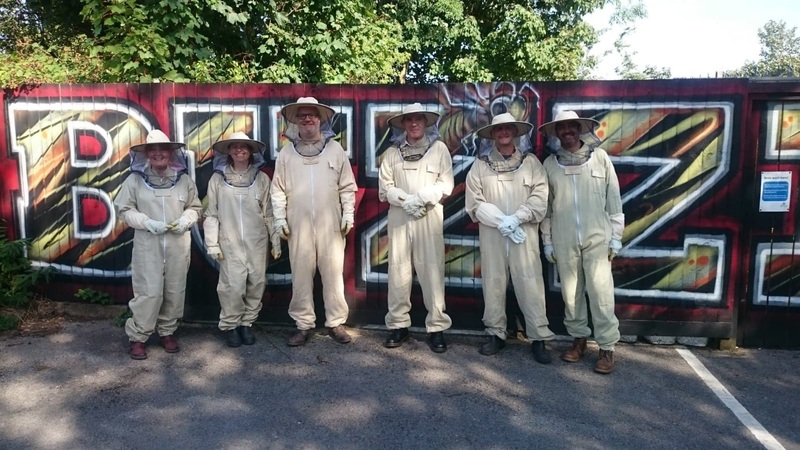 Neil Jones, Paul Price, Sarah Dunne, Sharon Cornish, Jim Bax and Mike Lewis, who all work within the Mental Health Clinical Board, took part in the course to help them look after bees when they are sited at University Hospital of Llandough (UHL) when the hives are located in Our Orchard in the future. The WellBeeing project is a collaboration between New Link Wales Buzzin’ Project, Cardiff University, Cardiff & Vale Health Charity and the UHB. The bee garden at Our Orchard UHL will be specially landscaped and designed with specific flowers planted to enable local researchers to test for a link with antibacterial strength honey. 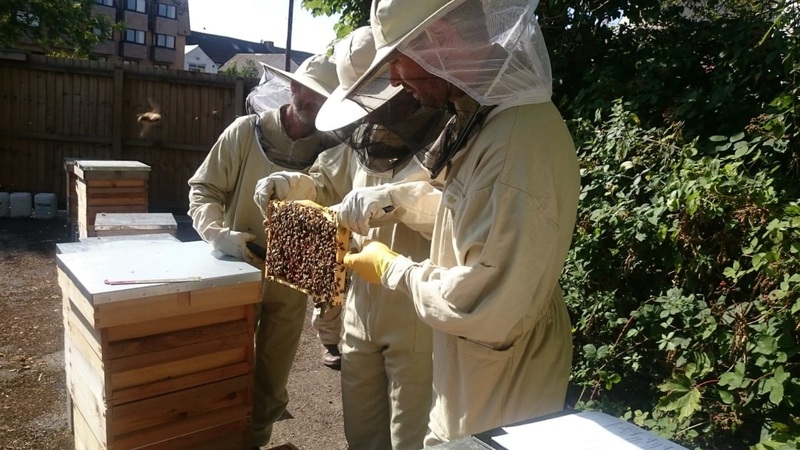 The bee garden aims to aid well-being and promote mindfulness for those suffering from mental health problems as well as producing super honey to aid wound healing. Hives will also be located at other hospital sites in the future. The WellBeeing project will build on the work of Professor Les Baille and his colleagues from the School of Pharmacy, College of Biomedical and Life Sciences, Cardiff University. They have identified a number of novel plant-derived antibacterial compounds in honey that killed antibiotic resistant hospital super bugs such as MRSA. They have been able to identify the plants whose nectar was the source of these potentially therapeutic compounds. The Health Board is working hard to implement the ‘Well-being of Future Generations (Wales) Act 2015’ and the WellBeeing project contributes to the national well-being goals set by the Act, supporting the improvement of the economic, social, environmental and cultural wellbeing of our population. 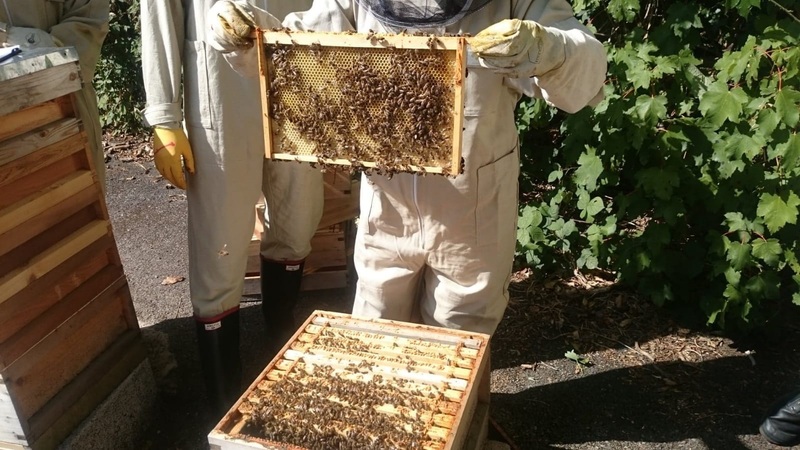 The hives will help to develop collaboration between staff, patients, carers, school children, and academics in health, and provide a supportive approach to developing sustainable futures. Cardiff and Vale UHB is the first Health Board in Wales to received Bee Friendly Wales accreditation. Bee Friendly Wales is a scheme to help communities, schools, businesses, universities and places of worship get active in protecting all pollinators in Wales. It was launched by Welsh Government and Friends of the Earth Cymru to encourage people to help pollinators.